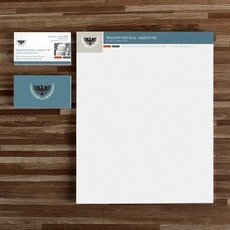 A letterhead is the corporate identity of your company. You use letterheads for company-issued letters for transactions with other companies or individuals. Thus, it would be such a hassle if you’re going to print it manually every time you make an official company letter. Don’t go through that hassle! Choose our bulk letterhead and envelopes printing. Cut yourself the hassle of inserting logos and designing through your word processing software that is unreliable most of the time. You may also choose to get our envelope printing service to get envelopes with a matching look as your letterhead. Our design team is ready to assist in achieving your desired look for your business letterhead. So what are you waiting for? Choose our letterhead and envelopes printing service and save time, effort and money. Contact us for more information on our printing services at 1-888-888-4211 or talk with our friendly representatives through our Live Chat button.